''Will their passion for each other be a blessing, or fulfill an ancient curse and destroy them? Lucinda Stafford is uniquely unqualified to serve as governess for the children of a handsome inventor. But, she’s determined to prove to her family she’s not a fragile, pampered heiress who can’t take care of herself. She didn’t plan to be attracted to the man who makes her furious one moment and whimper with desire the next. When danger threatens, can she save two innocent children from a terrifying nightmare? Grayson Thorne has only weeks to prove his geothermal plant can generate electricity, or he’ll lose much needed funding. He’s desperate to hire a new governess, but shocked when his housekeeper returns home with a beautiful, educated female who awakens long dormant desires. She’s the perfect choice, if he can manage to keep his hunger for her kisses and fantasies of taking her to his bed under control. I loved this historical romance. Eventhough the governess romance theme has been around for a long time, the author manages to put her own spin on it. I liked how Grayson even referred to their attraction as a cliché. 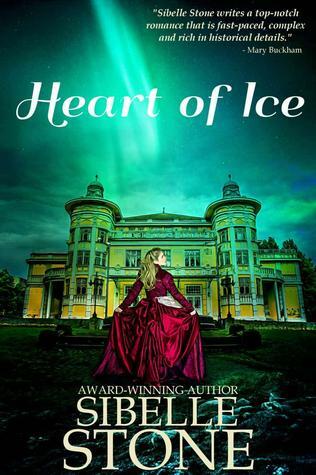 The author also, unusually for this genre, sets the story in Iceland and adds a supernatural threat. It all ties together nicely and I couldn't put it down. The relationship between Lucinda and the children was sweet and realistic and I enjoyed the verbal sparring between her and Grayson. I would definitely read more by the author.